Fluttery white forms fill this composition, intermingling at the top center quadrant with a black form that has been covered entirely by fatty acid bloom or translucent white paint. An orange lifeline runs through the center of the composition from top to bottom edge. 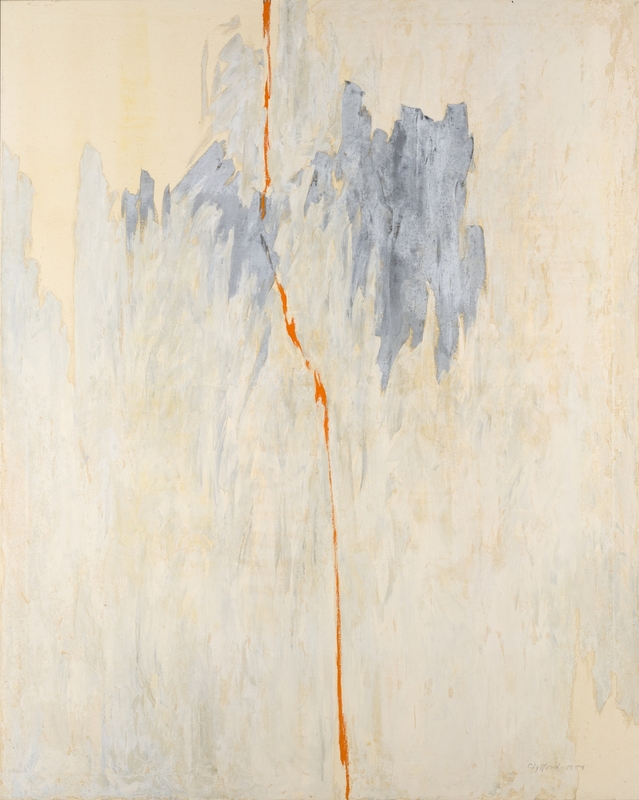 Clyfford Still, PH-1026, 1959. Oil on canvas, 83 5/8 x 67 inches (212.3 x 170.2 cm). Clyfford Still Museum, Denver, CO.